I joined the organization little over three years ago, and this year found myself as the chairperson for the APC's Parish Ministry Books of the Year selection committee. 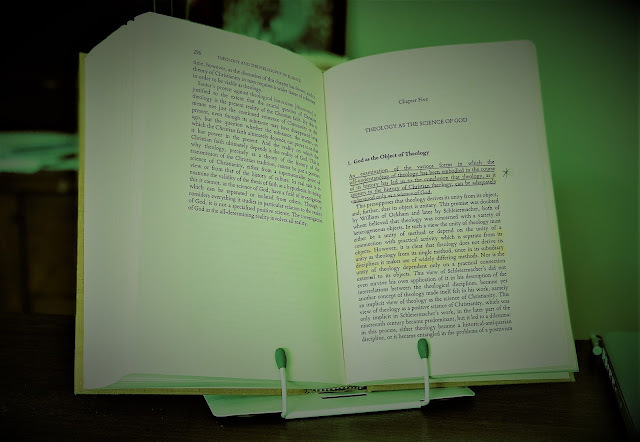 The Academy selects a list of the top ten books we consider to be of great value to women and men engaged in pastoral ministry, and if read, we believe will provide tangible benefit in ministry. Amongst this list is a book that we recognize as our Book of the Year and a book that we recognize as the Reference Book of the Year. 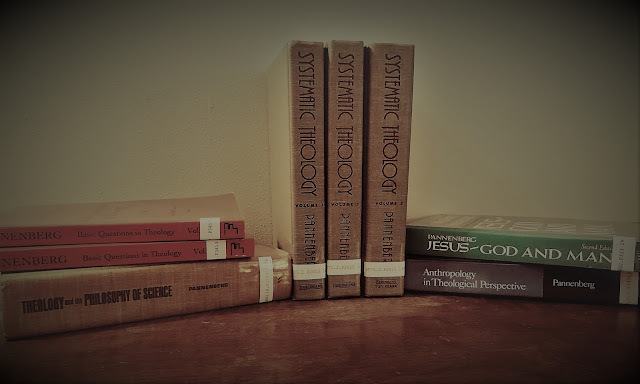 The books selected range in wide variety from academic theological works to spiritual memoirs, from practical "how to's" to biblical commentaries, from works of church history to books on pastoral counseling. What we are looking for is not simply ground breaking theological insight, but rather works that can benefit parish clergy as they serve in their wide ministerial contexts. I want to thank Intervarsity Press, Baker Press, Eerdmans, Westminster John Knox Press, Energion Press, HarperOne and Orbis Books for contributing books for consideration. I will be chairing the selection committee again next year, so if any of y'all reading this can think of any books published in 2015 that you think we should consider, please feel free to be in contact. Below you will find our list of books, as well as the citation read at our conference explaining the reasoning behind their selection. This book, written by a grand old man of the guild of Church Historians, is a thrilling call to arms to read and interpret scripture creatively. He does so, not exactly be reclaiming the four fold sense of scripture as mastered by the medieval exegetes (the literal, the allegorical, the tropological, and the anagogical) but by showing the many beautiful, challenging, enlightening, interpretations one can get from the text through this method. He employs the image of Aminadab's chariot, an image most likely unfamiliar to most of us by well known to the our brothers and sisters in Europe during the middle ages. If you have a moment, check out Song of Songs 6:12--it is one the most notoriously challenging verses to translate in all of scripture--from here, medieval exegetes saw a man named Aminadab's chariot being drawn by four horses--the chariot was seen to be the Bible, the horses the fourfold method of interpretation. He challenges pastors, theologians, exegetes et al, to interpret boldly or not interpret at all. In closing this brief summary, I quote Dr. Froehlich on the necessity of bold interpretation in reading, preaching, and teaching scripture, "The results are dangerously speculative; every interpreter goes out on a limb, and each interpretation is vulnerable to criticism. But danger can also be both fascinating and attractive. It is amazing to watch the logic: the more intractable the textual problem, the greater the zeal and creativity applied to it. After all, biblical interpretation means and always has meant exercising one's imagination. We sometimes forget this simple truth. The goal of interpretation is not to remove dangers, but to face them squarely--and then to go out daringly on a limb." Maybe I'm just a big Bible nerd, but these words gets me excited get me excited to go out and interpret! On surface, this may seem like too complex a book of theology to recommend to Parish pastors, but after reading it closely our three readers on the selection committee concluded that it is an important book that we highly commend to all pastors. Vanhoozer creatively ties our understanding of the uniqueness of Christian doctrine, i.e., "its single-minded and single-hearted focus on knowing God and oneself in Jesus Christ and in directing disciples to demonstrate their understanding of this ultimate reality," with dramatic theory. The key word here in understanding Vanhoozer's understanding of doctrine as related to dramatic theory is "demonstrate." Christian doctrine grows disciples by teaching us to perceive, name, and act in ways that demonstrate the reality of the gospel, speaking and showing what is "in Christ." What sets Christian disciples apart in our world is not simply the content of our belief but rather how we relate to it. Doctrine does more than state facts, it offers interpretive frameworks. So what Vanhoozer does is suggest that we think of theology like we think of stage directions. If, to quote Shakespeare, "All the world's a stage, and all the men and women merely players," then theology, like stage directions, guide us through our performance of life in relation to our creative, redeeming God revealed to us in the story of God's people Israel and in the person of Jesus Christ. This book was selected to our top ten simply because it is the best single volume introduction to the bible designed to speak to parishioners and their families that we have come across. Hamilton, whom you might be aware is the pastor of a very large United Methodist congregation, works his way through the entire story of scripture in a highly readable prose. He's a pastor, not simply an academic, and that comes across. He divides the book into two, one going into the nature of scripture and questions about this nature, "Is the Bible inspired? How does God speak to and through us? ", and two, "Making Sense of the Bible's Challenging Passages," going in depth on to the question as to whether Adam and Eve were real people, what to do with the books of Joshua and Judges, the questions over homosexuality and the Bible, and perhaps a little bit lighter but no less serious for some of our younger folks in church, "Is it okay to get a tattoo?” The Bible is by far the world's best selling, most read, and perhaps most loved book. But it is also one of the most confusing--Pastor Adam is a good guide through it, and we recommend his book to pastors to share with their congregants. It is a known fact but an avoided conversation topic among pastors that they will encounter failure during their years of ministry. Briggs takes readers through a process of faithfully overcoming the shame, loneliness, and desire to flee that emerges in the midst of failure, towards the acceptance and restoration that can come as a result of failure. With Paul and Jesus as models, readers move toward freedom from the fear of and experience of failure. Along with practical advice, the author reminds Christian pastors that the God they worship gracious God is there to love, forgive, restore and guide in, through, and in despite of failure. In one volume Bird has provided a well-researched examination of the Gospels including their historicity and the relationship of oral tradition to written document. There is good discussion of sources and thoughtful citation of quality Biblical scholarship. While this book would be appropriate as a seminary text, its compact clarity makes it an excellent resource for pastors who wish to prepare a sermon series or an adult education class on the Gospels, or who wish to answer lucidly questions from thoughtful church members.